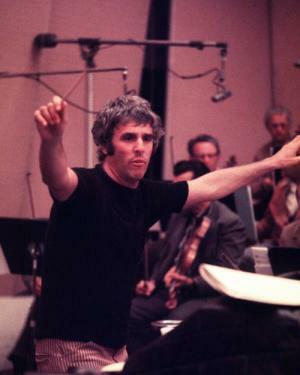 Burt Freeman Bacharach was born on the 12th May 1928, in Kansas City, Missouri USA. He is a musician – singer, songwriter, pianist, composer, and record producer, who is probably best known for his lyrics, written together with Hal David for Dionne Warwick. Some of his greatest hits are “I Say A Little Prayer”, “Raindrops Keep Fallin’ On My Head”, “What The World Needs Now Is Love”, among others. His career has been active since 1950. Have you ever wondered how rich Burt Bacharach is, as of mid- 2016? It has been estimated from authoritative sources that Burt’s net worth is as high as $160 million, which has been accumulated through his successful involvement in the music industry, including through his collaboration with a number of the greatest musicians of all time. Another source is coming from the sales of his autobiographical book “Anyone Who Had a Heart” (2013). Burt Bacharach was born to Irma M. and Mark Bertram “Bert” Bacharach, who was a newspaper columnist; he was raised in a Jewish family in Forest Hills, New York City, where he studied at the Forest Hills High School from which he matriculated in 1946. As a child, he showed interest in music, when he began to attend piano lessons. After high school, he enrolled at Montreal’s McGill University, at the Mannes College of Music, and at the Music Academy of the West. Upon graduation, he went to serve in the U.S. Army, and when he returned home, Burt worked as a pianist for some time. However, his professional career didn`t start until the late 1950s, when he met songwriter Hal David. The two soon began to work together, and wrote the song “The Story of My Life”, performed by Marty Robins, which reached No. 1 on the US Country chart. This celebrated the two as musicians, and they continued in the same manner with the song “Magic Moments”, sang by Perry Como, reaching No. 1 on the UK charts, and No. 4 on the US Pop chart. The two continued to work together through many years, composing songs such as “The Man Who Shot Liberty Valance”, “I Just Don’t Know What to Do with Myself”, “Make It Easy On Yourself”, “Only Love Can Break a Heart”, “What’s New Pussycat?”, “Living Together, Growing Together”, and “This Guy’s in Love with You”, among others, all of which have increased Burt`s net worth by a large margin. Burt has also collaborated with other songwriters, such as Bob Hilliard, Paul Anka, Carole Bayer Sager, and Bruce Roberts, increasing further his fame, popularity and net worth. He has also created music for films and Broadway musicals, including for “Butch Cassidy and the Sundance Kid” (1969), “Promises, Promises” (1969), “Arthur” (1981), “Arthur 2: On the Rocks” (1988), among many others, which have also added to his net worth. Burt has also released a number of solo albums, including “Hit Maker! : Burt Bacharach Plays the Burt Bacharach Hits”(1965), “Living Together”(1973), “Woman”(1979), “One Amazing Night” (1998), among others, adding also a large amount to his net worth. Thanks to his talents, Burt has received numerous prestigious awards, including three Oscar Awards, two Golden Globe Awards, and one Primetime Emmy award, for his work on music for films. Furthermore, he won two Grammy awards in the category Best Pop Collaboration with Vocals for his collaboration with Elvis Costello on the song “I Still Have That Other Girl”, and Best Original Score Written for a Motion Picture or Television Show for his work on “Butch Cassidy And The Sundance Kid”, among many others. Speaking about his personal life, Burt Bacharach has been married four times. His first wife was Paula Stewart (1953-1958). Later, he married actress Angie Dickinson (1965-1980), with whom he has a daughter. His third wife was Carole Bayer Sager, a songwriter, and this marriage lasted nine years – from 1982 to 1991; they adopted a son. Burt has been married to Jane Hansen since 1993, with whom he has two children. His current residence is in Brookville, New York.